In the 1970s it was suggested that antibiotic production might be plasmid-encoded, following the observation that antibiotic production was often easily lost, particularly after treatments with UV or intercalating agents previously used to cure some circular plasmids in other bacteria (Okanishi et al. 1970). The discovery that SCP1 did indeed carry the genes for methyleno-mycin biosynthesis (Kirby et al. 1975) reinforced this general hypothesis (see Hopwood and Merrick 1977, for a careful review of the evidence at that time). However, further work on the S. coelicolor gene sets for production of actinorhodin (Wright and Hopwood 1976b; Rudd and Hopwood 1979), unde-cylprodigiosin (Rudd and Hopwood 1980) and calcium-dependent antibiotic (CDA) (Hopwood and Wright 1983) showed that they were all chromosomal, and no further clear examples of plasmid-linked antibiotic biosynthesis emerged for several years. 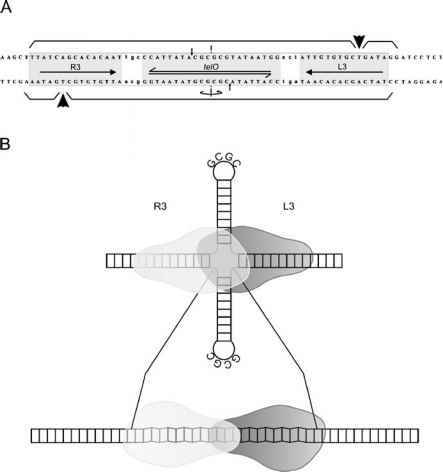 The early papers on PFGE-based identification of linear plasmids from antibiotic-producing streptomycetes reopened this debate (Kinashi 1994), but the initial results were circumstantial and often equivocal. For example, only one of two actinomycin D-producing strepto-mycetes had such a plasmid (Kinashi and Shimaji 1987), and the same was found for two independently isolated tetracycline producers (Kinashi and Shimaji 1987; Rathos et al. 1989). However, the evidence was stronger in the case of lasalocid biosynthesis by S. lasaliensis, in which the absence or presence of such plasmid (after curing treatments or plasmid re-establishment following protoplast fusion) correlated with non-production or production, respectively (Kinashi et al. 1987, 1988). More recently, detailed molecular analysis, culminating in sequencing of the entire 210 614-kb linear molecule, has shown that pSLA2-L of S. rochei is mainly composed of gene sets for the biosynthesis of secondary metabolites (Fig. 7; Mochizuki et al. 2003). The next two subsections discuss the specification of antibiotic production by SCP1 and pSLA2-L in more detail.